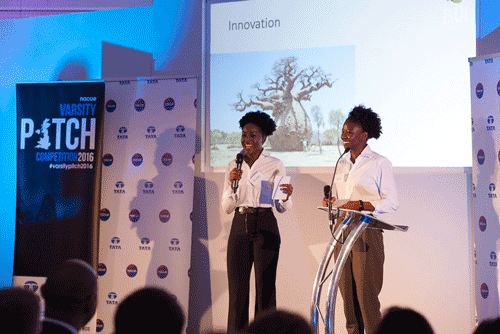 Our Launchpad alumni and London Met students Isatou and Haddy beat hundreds of applicants to the final of NACUE’s varsity pitch, after being judged on their businesses Innovation, Market Opportunity and their Financial Viability, and chosen for the Ideas category. Bui Smoothies are made using Baobab mixed with other fruits. Baobab is a super fruit which grows mainly in Africa and their smoothies are 100% natural, with no added sugar or preservatives. To their knowledge they are the first company to make smoothies using baobab as a base ingredient. The pair spoke on the stage last week and told the packed audience about how Bui Smoothies was not only going to take the world by storm, but also going to have a social impact on women in The Gambia. We have no doubt this is just the beginning for these ambitious London Met grads.